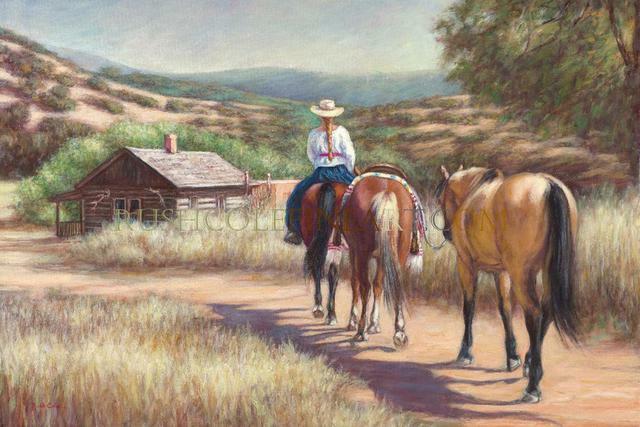 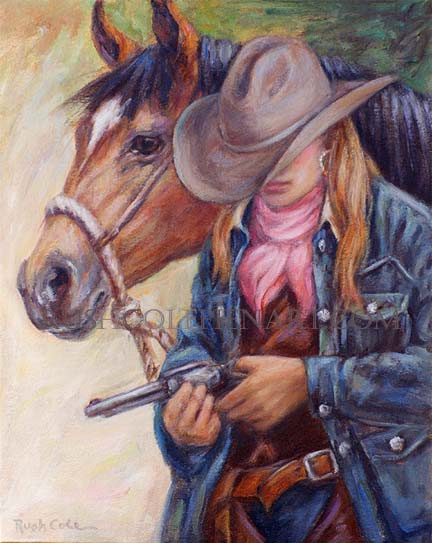 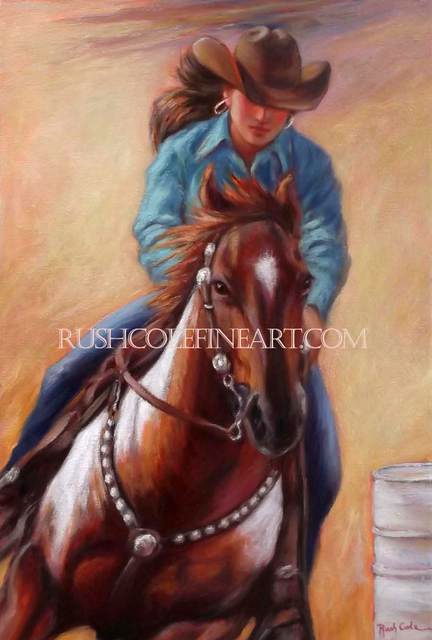 American cowgirls and cowboys are popular cultural icons, emulated around the world. 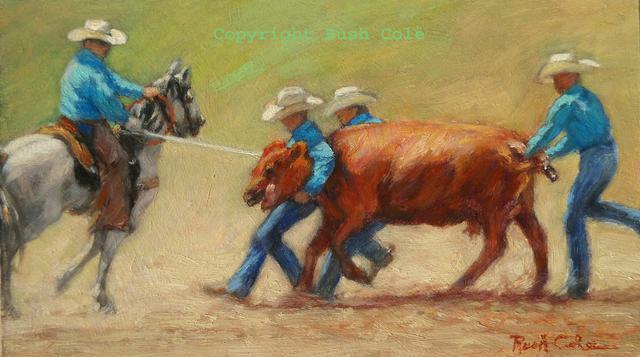 Rush Cole paints them as she finds them: at rodeos riding bulls and broncs, at cattle roundups and brandings, or as leisurely trail riders crossing a wilderness field and stream. 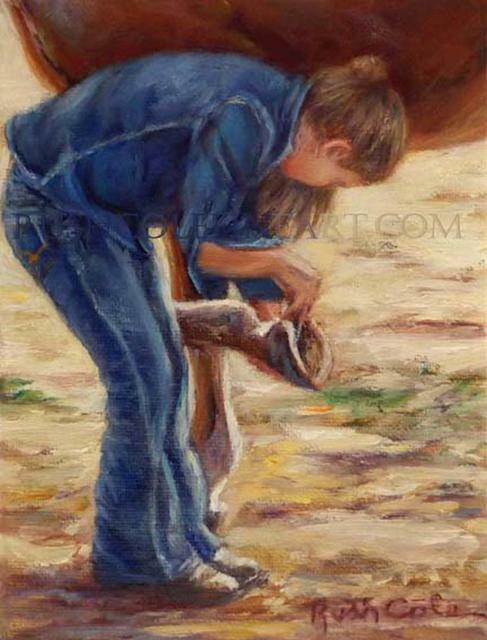 True to form, Cole insists on depicting only "the real deal", researching her subjects thoroughly by doing the same things they do. 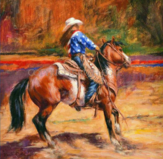 Gathering cattle, helping work ranch horses, cheering contestants at the annual Rodeo de Santa Fe, and traveling horseback in desert and mountain wildernesses are all a part of creating her art of the west. 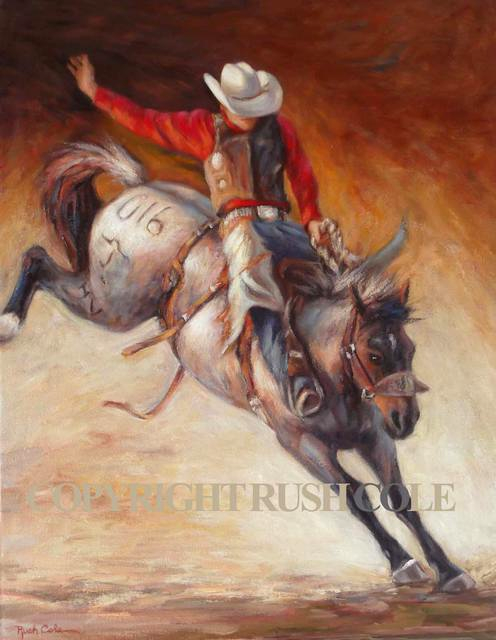 Early November frequently finds her at the Working Ranch Cowboys Association (WRCA) World Championships in Amarillo, Texas. 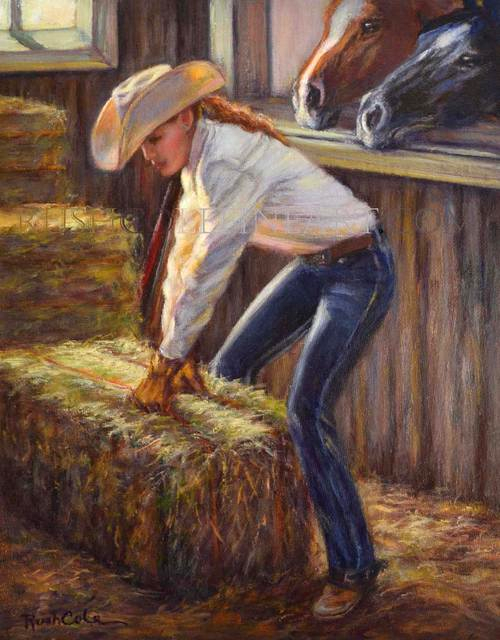 For four days, working cowboys and cowgirls from all over North America compete in ranch teams for the title of the best. 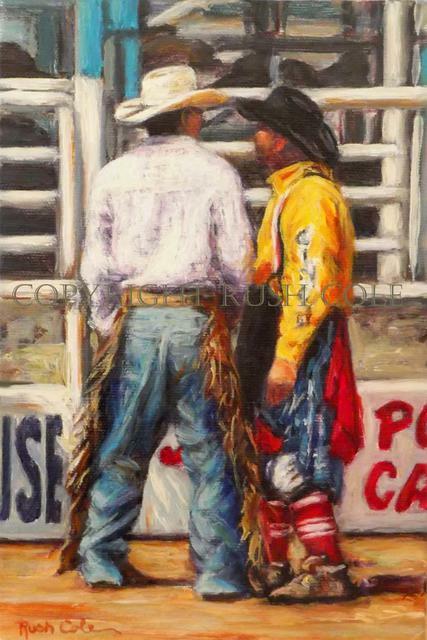 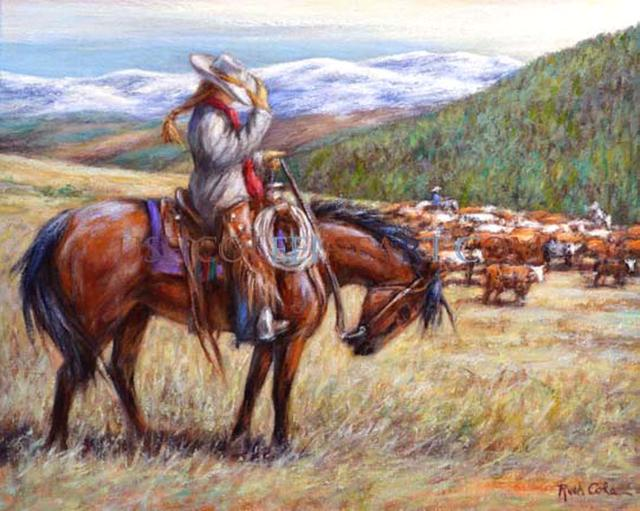 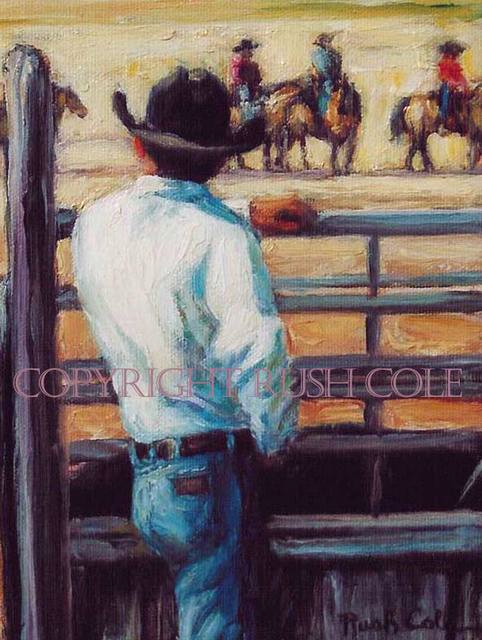 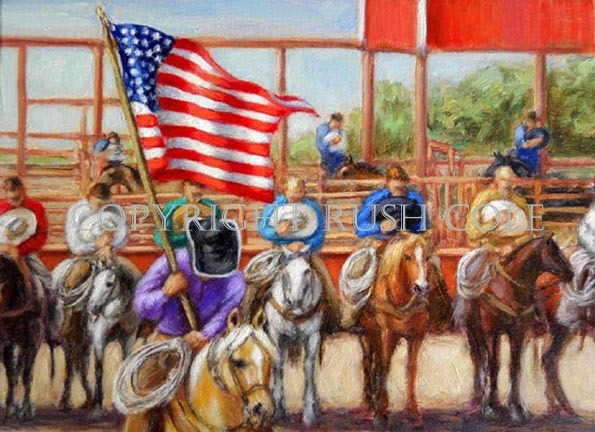 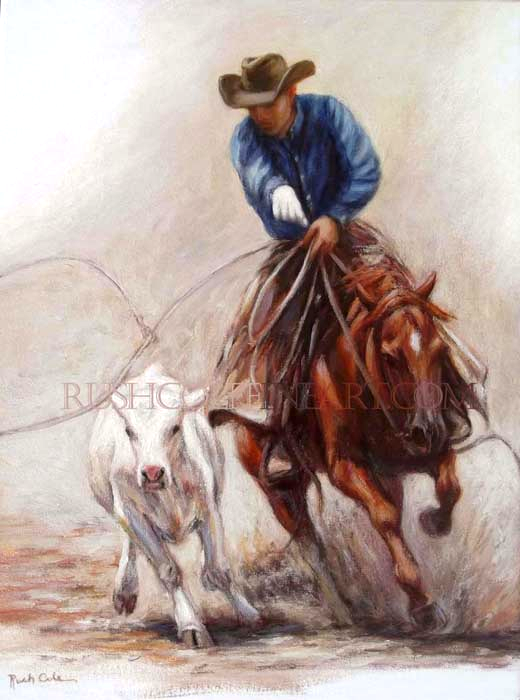 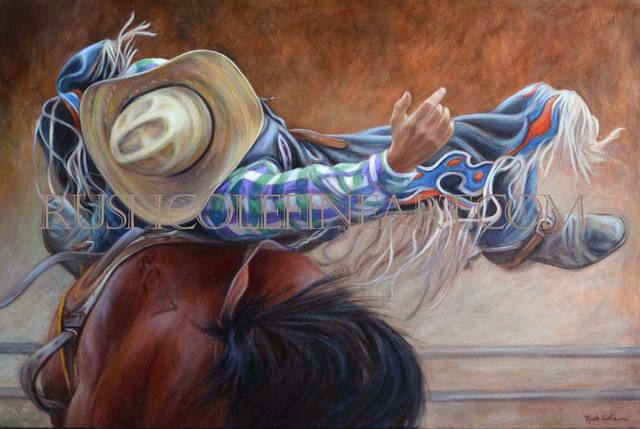 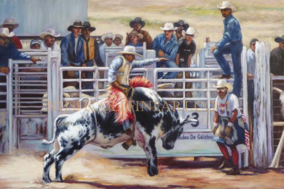 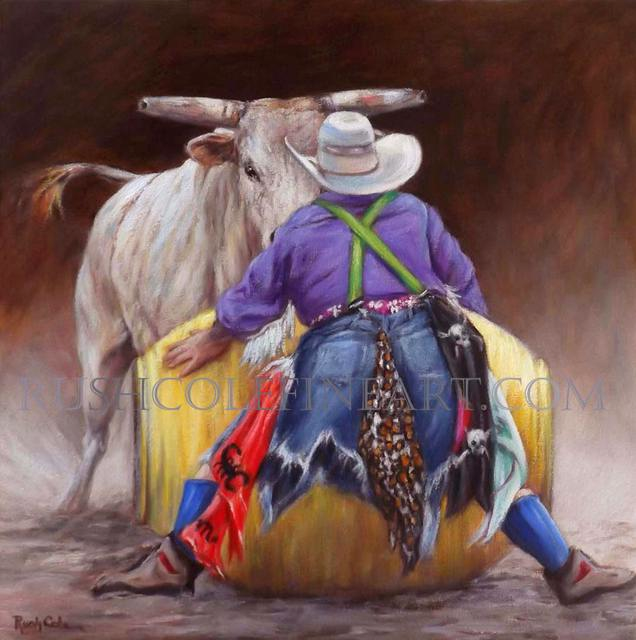 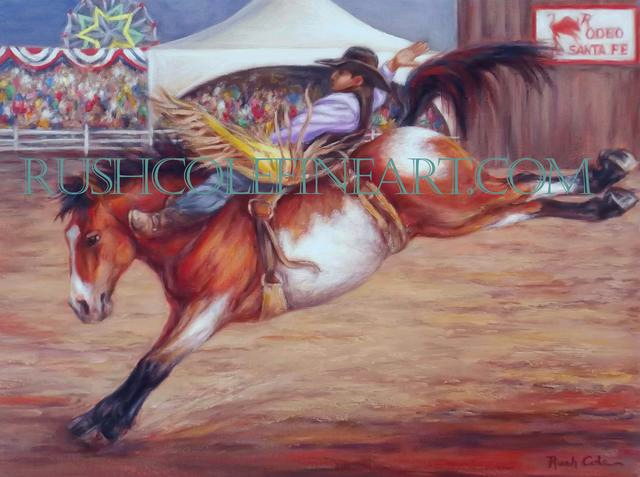 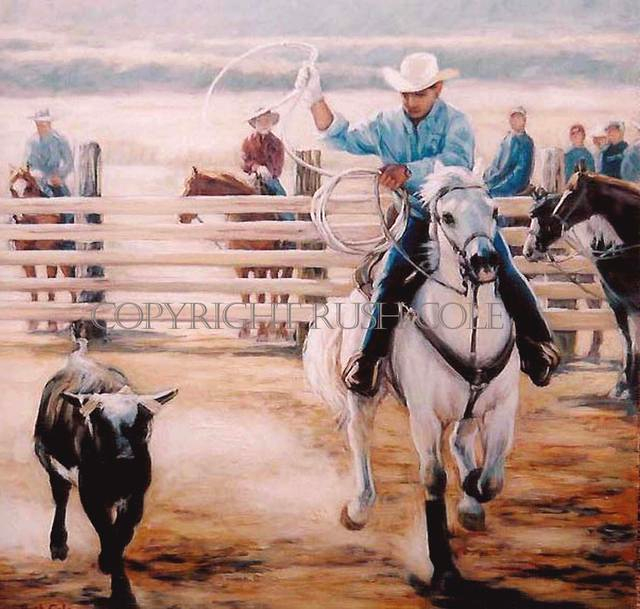 PRCA Rodeos around the country are always of interest to the artist, with barrel racing, team penning and sorting, and steer wrestling added to her roster of favorite painting subjects. 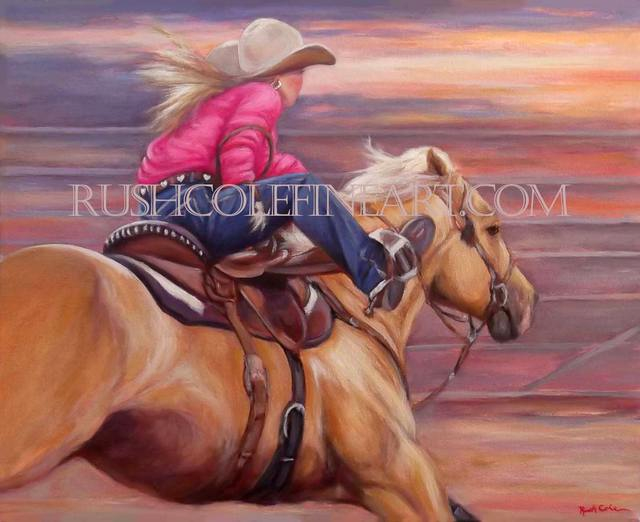 Colorful and action-packed, Cole's portrayal of the American ranch culture honors valued traditions of the past, while adding contemporary flavor and excitement to her images of the American west. 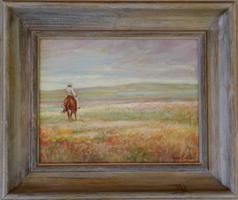 8" x 6", Oil/canvas, unframed. 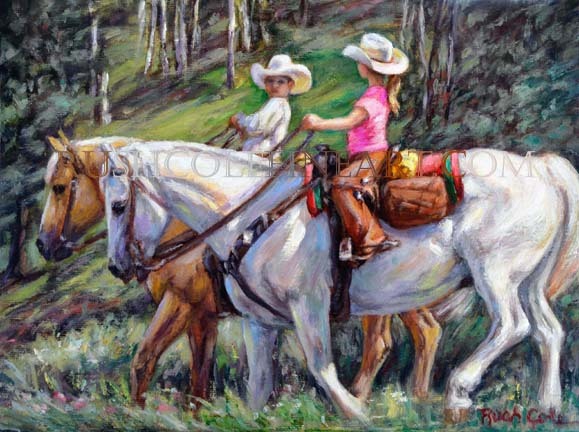 11" x 14", oil on panel.